The lead actress of hit Korean drama Rooftop Prince, Han Ji Min, who was also starring in “Dae Jang Geum” as Shin-bi, is falling in love with Crown Prince who travels to modern society. 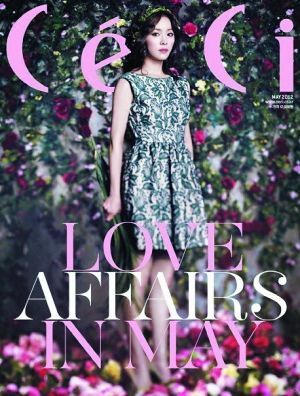 Han Ji Min graces the cover of the May edition of “CECI” magazine. She shot a series of pictorials for the magazine with the theme of “Love Affairs in May”. 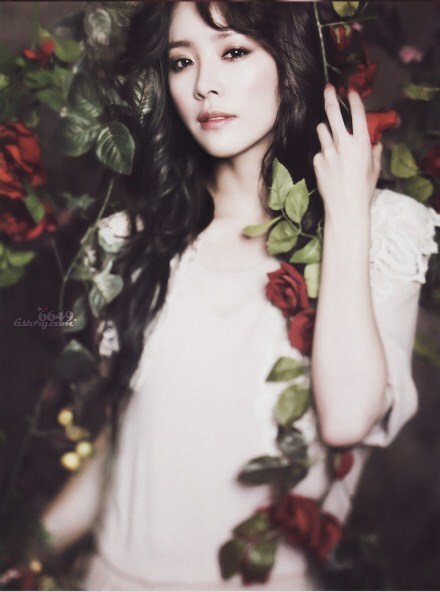 In one of the photos set, Han Ji Min wore a red rose wreath on the head, looks like a rose goddess. The pictorials are simultaneously published in Korean and Chinese of Ceci magazine. When asked about her thoughts on her 10 years of acting career during the interview, Han Ji Min said, "Although acting is my career, but instead of always giving it some meaning for this purpose, I more want to enjoy the current. Living every moment happily is the rule of my life and acting." About the currently airing drama, "Rooftop Prince", which she co-stars with JYJ's Micky Yoochun, Han Ji Min smiled and said, "Friends beside me said that Park Ha is very similar to Han Ji Min, so I like it very much. Apart from the characteristic of reprimanding loudly, Park Ha is 99% no difference to me."